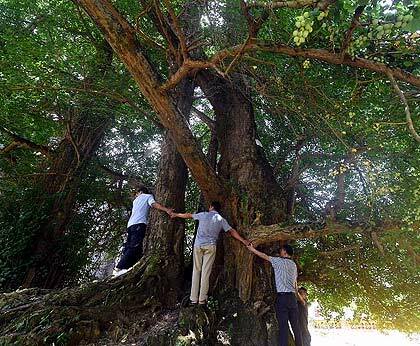 Tourists link hands around an ancient Ginkgo tree in southeast China. 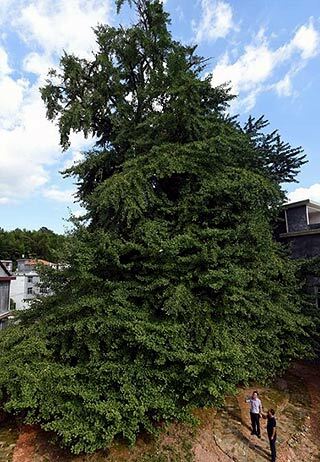 It is 1,200 years old, female and is still bearing seeds! Location: Shanghang county, Fujian Province, Huajia village of Jiaoyang township.